Sapphire 11 is now available for all supported hosts, including Adobe, Avid, the Autodesk Flame family & OFX hosts including Resolve, Fusion, and NUKE. What's new in Sapphire 11? Mocha’s renowned planar tracking and masking engine is integrated inside all Sapphire 11 effects adding major time-saving tools for tracking, masking, screen replacements, rotoscoping, and more. Mocha masks can be used to drive effect parameters or isolate a region of interest for the selected visual effect. Power users of Sapphire have long known the secret to creating great effects has always been employing masks to selectively isolate, and now working with that technique is easier than ever. Sapphire 11 with Mocha is currently available for all supported hosts, and featured in Sapphire units as well. Sapphire 11 adds over 50 highly-stylized, multi-effect presets and transitions based on Sapphire’s powerful Builder effect. Easily drag and drop on a project or customize as desired. These highly advanced presets are created by top notch working professional editors and artists who use Sapphire in their day to day work. Anyone who has explored the power of the Effect Builder knows these new presets are like whole new Sapphire effects, so we are excited to include over 50 in Sapphire 11. 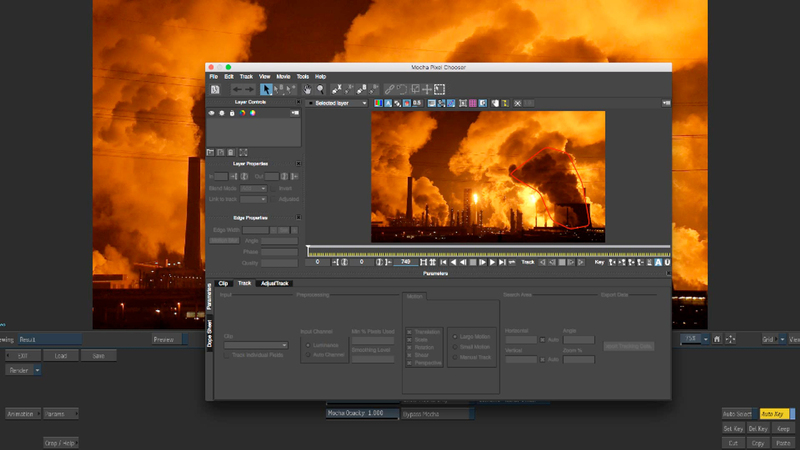 Sapphire 11 for the Autodesk Flame Family includes an exclusive S_Mocha spark which includes all the current Mocha Pro Flame masking and tracking data exports, including shape data exported to Flame GMask and for tracking/stabilization data to be exported from Mocha directly onto a surface in Action. Sapphire 11 is available as 8 individual effect categories. Each Sapphire Unit offers a single, multi-host (Avid, Adobe & OFX) license at a freelance-friendly price point. Supports: Adobe, Avid, the Autodesk Flame family & OFX hosts including Resolve, Fusion, and NUKE.